A 'popover' interview that happened in my head. Yes, I'am weird that way. 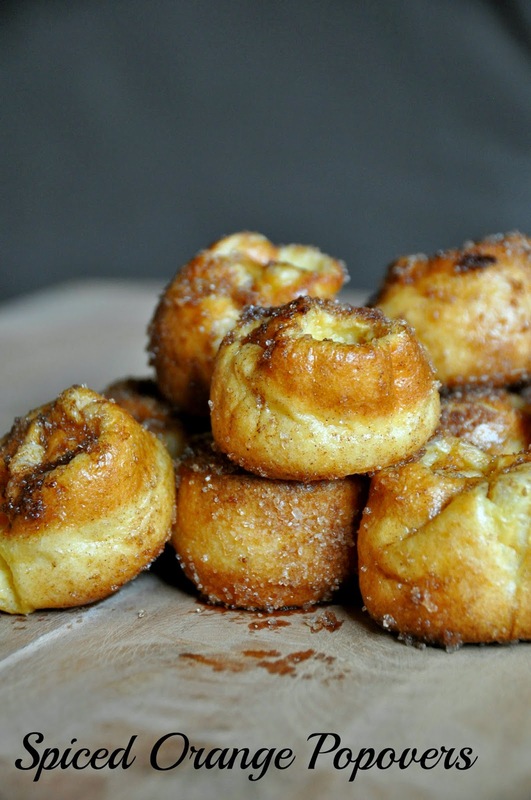 How did you come across Popovers? Pinterest. Why did you bake them when you have no idea what they are? I like anything with orange or cinnamon sugar. What are they like? Airy puffs with a hollow shell. The literally POP in the oven. How long does it take to bake them? They are very easy to bake. Simply blend the ingredients, pour the batter into muffin tin after waiting for a while. Bake. Roll in melted butter and spiced sugar if you like. Done. Did your family like them? Oh yes! All twelve off them were finished off in minutes. Talha asked me to make some for school. I would be trying out a healthy savory version soon. In sha Allah. Could I have the recipe please? Sure. You can find a detailed recipe on Shutterbean. 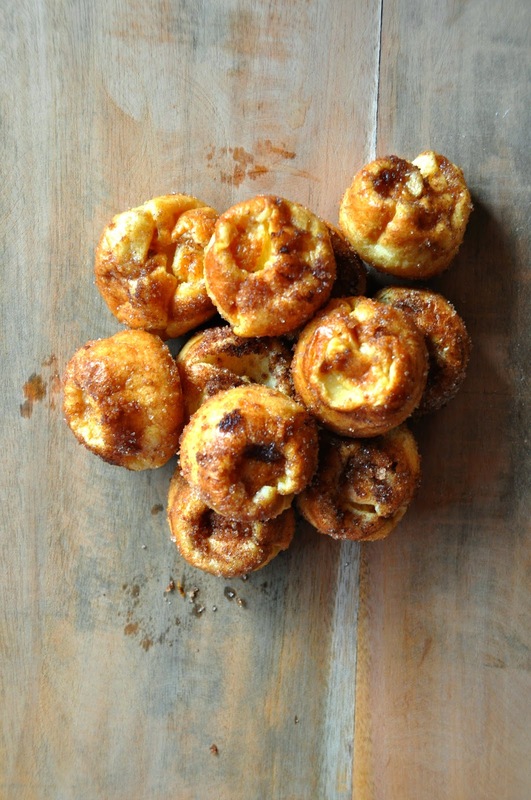 Since I do not own a popover tin, I used a mini muffin tin instead and followed the instructions on A Sweet Spoonful. Make sure you adjust the cooking time depending on your oven. PS. You can find all the recipes I've shared so far here under the recipe index.